Discussion in 'Dovetail Live Article Discussion' started by TrainSim-James, Jan 29, 2019. Thank you, every little fix is useful. I'm still waiting for performance improvements, though. Yeah I asked in the Dovetail live post about this patch (above) exactly which trophies have been fixed just so we know. Hoping we get a simple list of what is fixed and what is being worked on. Achievement Class 45: Revv'd Up - Complete the Diesel Locomotives Introduction tutorial on Xbox One hasn't been fixed, both have the check marks by them, completed them both again today just to be sure, still nothing. Update has happened to my PS4 and wondering why. Is the tractive effort bar still meant to be blue? The screen text is green/red respectively but not the bar itself. I noticed that, maybe none of the fixes actually happened. So there was a 5.9gb download for basically nothing then? So what did this fix? We need an explanation DTG. seriously, stop with this kind of practices, we tired of this kind of behavior. Be more communicative, if you made a mistake just tell us and explain exactly the patch content. This is the bare minimum. As usual nothing but tumbleweed..
Any updates on this Dovetail? Think we all want to know what's going on as we paid good money here. I can explain what happened with the update. As you all correctly noticed, we removed the details of the update to the LIRR route from the update notes. The reason for this is that the information about the update that was given to us was incorrect. 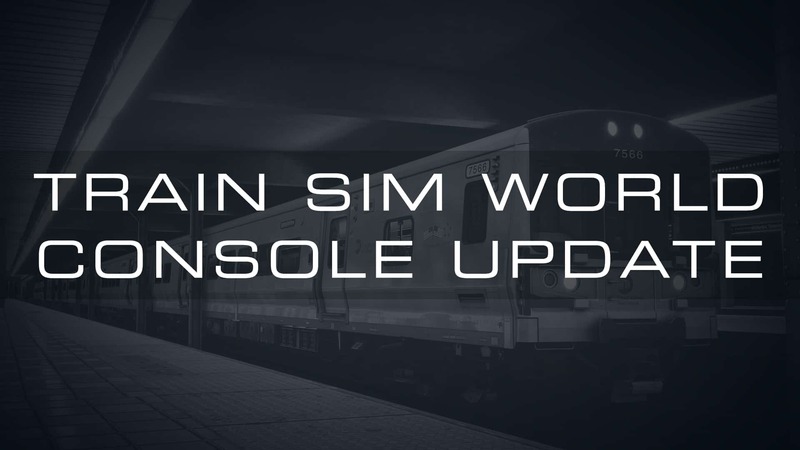 The console update, unlike it's PC counterpart, did NOT include fixed to LIRR. At this point, I cannot give you information on when these fixes are coming to consoles. I would like to apologize for the inconvenience caused by this misunderstanding and for taking too long to give you an update on the situation.